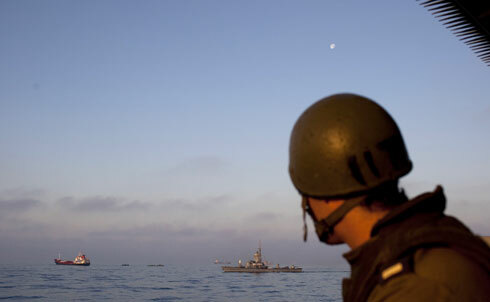 In the early hours of Monday, May 31, Israeli Defense Forces raided a flotilla of six ships en route to delivering humanitarian aid to Gaza, killing at least nine civilians and wounding dozens more. "What madness," The Nation‘s Roane Carey asks, "could have driven the Israeli government to order its navy to attack, in international waters, a flotilla of ships full of human rights activists, MPs from governments around the world, a Nobel Prize winner and two former US diplomats?" The flotilla was part of an ongoing campaign known as the Free Gaza Movement, which has delivered supplies and aid to the blockaded territory for over two years. 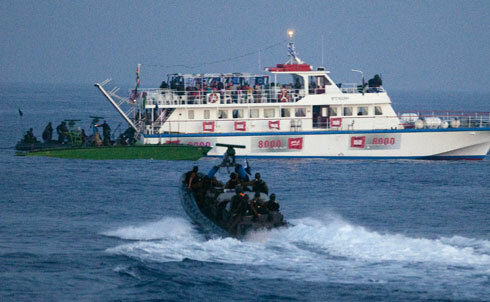 In a 2008 article for The Nation, Richard Silverstein wrote that the original motivation for the flotillas was "the sheer economic misery caused by Israel’s siege," begun after Hamas’s electoral victory in 2006. The Movement "sought to publicize Gaza’s plight in the most graphic terms possible—by breaking the blockade." Gaza’s besieged population has suffered severe economic and humanitarian damages from the ongoing blockade. According to The Nation‘s Sara Roy, the territory’s private and agricultural sectors are in ruins, and the malnourished and underemployed population depends largely on international aid organizations and an informal network of black market smugglers to fill the void of a functioning economy. 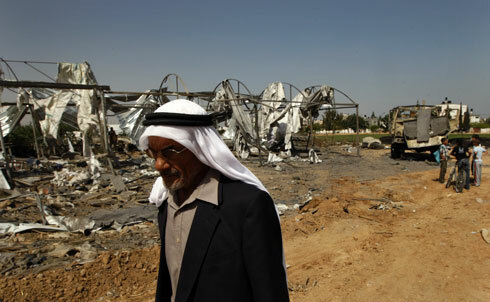 Gaza, Roy says, "is now a place where poverty masquerades as livelihood and charity as business." The six ships seized on May 31 were carrying more than 600 people and nearly 10,000 tons of goods and construction materials destined for the Gaza Strip. Among those on board were Former Ambassador Edward Peck, a career diplomat who served as deputy director of the White House Task Force on Terrorism during the presidency of Ronald Reagan, and Ret. Col. Ann Wright, who after a career in the US Army and as a diplomat, quit in protest over the Iraq war. In an interview recorded before the raid, Wright argued that the flotillas mark the beginning of the end for the siege against Gaza: "I would hope the Israelis recognize this as a peaceful, non-violent mechanism for forcing government to do what governments don’t want to." 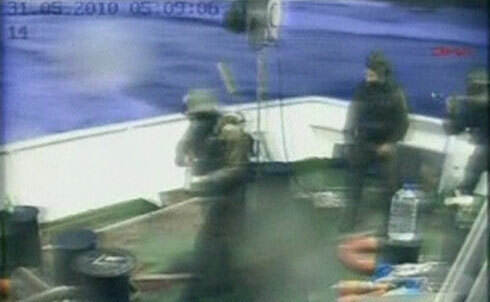 "The mildest word I can come up with to describe US media coverage of the deadly Israeli assault on a Gaza aid flotilla would be ‘credulous,’" says The Nation‘s Esther Kaplan. While international news outlets condemned the attack as a "failure" and a "fiasco" and called Israel’s justifications "pathetic," US media resorted to "misinformation and an almost gleeful boosterism." Focusing on the diplomatic fallout facing Israel and avoiding the more prickly issue of why a flotilla bearing 10,000 tons of humanitarian aid for Gaza might have been necessary, the US media pulled their punches. 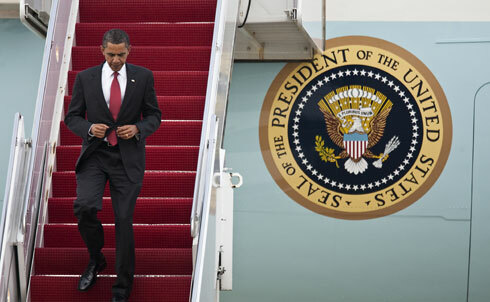 As Obama and the State Department issue cautious statements of concern, some Democrats refuse to hold their tongues. 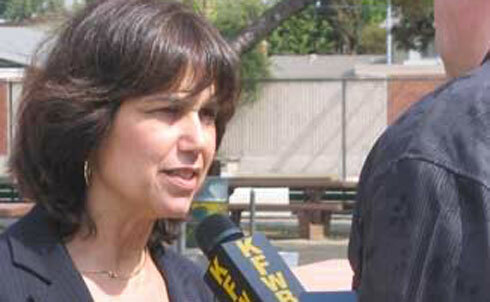 Congressional candidate Marcy Winograd is challenging incumbent Democrat Jane Harman for an LA district seat. The two politicians share Jewish backgrounds, but the similarities end there. Winograd, co-founder of LA Jews for Peace, condemned the attack, saying: “I invite my opponent, Jane Harman, another Jewish woman, and all of Congress to join me in denouncing this kind of barbaric violence, demanding an end to the blockade, and seeking an international investigation into these murders.” In a statement on her website, Harman responded that "until the facts of this complex and tragic episode are fully investigated and understood, it is premature to assess blame or call anyone a murderer." 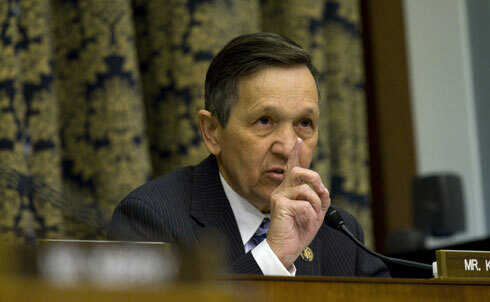 Closer to Washington, Ohio Democratic Congressman Dennis Kucinich reacted to his colleagues’ tepid responses by circulating a letter to President Obama declaring, "It is not acceptable to repeatedly violate international law. It is not acceptable to shoot and kill innocent civilians. It is not acceptable to commit an act of aggression against another US ally." Kucinich writes that Israel’s right to defend its border "does not extend to shooting innocent civilians anywhere in the world, anytime it pleases." If the US fails to act in any substantive way, Kucinich concludes, we effectively license "the violence and… our own citizens will be forced to pay the consequences." The Nation‘s John Nichols argues that "history, and recent developments in Washington, suggest that the congressman will not be overwhelmed by allies on this one." 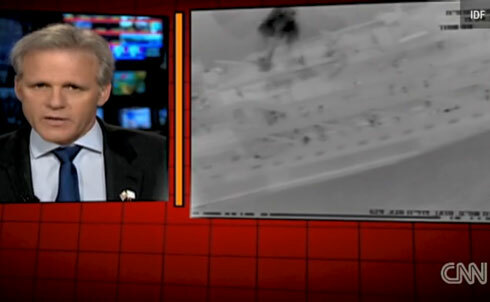 So far, the Obama administration has only expressed "deep concern" over the violence in international waters. But according to Robert Dreyfuss, "that won’t cut it." The blowback from the attack is already intense, and Dreyfuss argues that the fury surrounding Israel’s actions should force the US to open dialog with Hamas. The US has "long avoided dealing with Hamas," Dreyfuss writes, but bringing Hamas to the negotiating table may be the only way out of the intractable situation Israel’s blockade has created in Gaza. 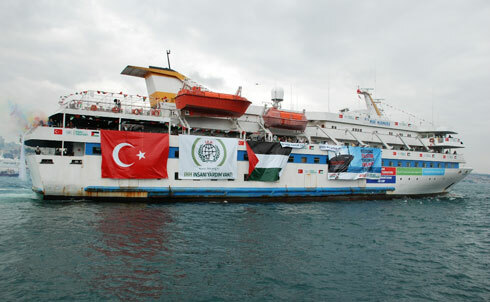 According to The Nation‘s editors, the attack on the Freedom Flotilla is the culmination of more than four years of failed US-Israeli policy. "Israel’s occupation," the editors write, "would not have been possible without tens of billions in US military aid, without dozens of UN vetoes cast by Washington, without the State Department’s back-room strong-arming of other nations." The indefensible siege of Gaza "must end immediately, and along with it the counterproductive US-Israeli policy of isolating Hamas. Only then will it be possible to work constructively toward a resolution of the conflict."